Good morning!! If you haven't seen last weeks episode of The Simpsons, you missed one of the darkest couch gags in Simpson history. 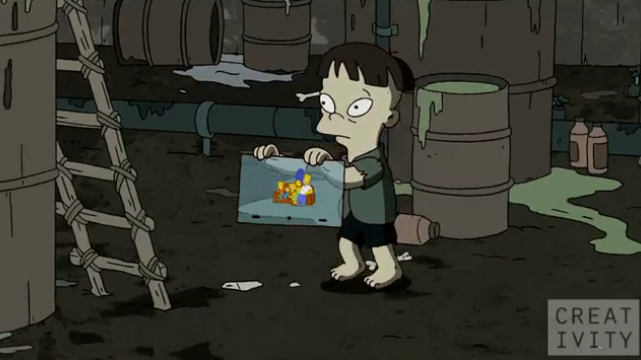 The Simpsons, together with British artist "Banksy" created an opening sequence that tries to portray the apparent sweatshop conditions that are responsible for the show. One would imagine the shows producers would be out of a job today, but seems like they are still back at work. Something worth checking out would be this recent interview with ArtsBeat, where Al Jean explains all! Enjoy!